I love Scripture that takes our traditional views and turns them upside down. Good guy Pharisees, God as mother, stuff like that. Jesus was headed for Jerusalem—in Luke, his final destination always seems clear—and some Pharisees stopped him to warn him not to go there. The king wants you dead, they said. Jesus spent so much time chastising the Pharisees that we forget there were good men among this religious group, some who wanted to follow him, if only in secret. In fact, the Jews have a collection of wisdom writings known as the Talmud, and in these writings there are descriptions of seven types of Pharisees, one positive, six negative. The Shoulder Pharisees. These men wore their good deeds “on their shoulders” to be seen by others. The Wait-a-little Pharisees. They always found a good excuse to put off a good deed until tomorrow. The Bruised or Bleeding Pharisees. No rabbi (a scholarly Jewish teacher) was supposed to be seen talking to a woman on the street. Some would not even look at a woman, closing their eyes and consequently slamming into walls, doors, trees, or whatever else was in the path. They thought their wounds were evidence of extraordinary piety. The Hump-backed Pharisees. They cringed and pretended to be humble, but were generally faking it. Who knew you could take pride in humility? The Ever-Reckoning Pharisees. They were always adding up their good deeds as if keeping a balance sheet for God. The Timid or Fearing Pharisees. They were terrified of the wrath of God. The poet Robert Burns once wrote of people not helped but haunted by their religion, and these men would fall into that category of believer. And finally, there were the God-loving Pharisees, who tried to live like their ancestor Abraham, exhibiting faith and charity. Nicodemus in the Gospel of John comes to mind, drawn to Jesus (if only at night) and eventually helping with Jesus’ burial. Some of these good Pharisees must have been the ones who wanted to warn Jesus. Normally, we use masculine language for God, and divinity clearly resided in the male form of Jesus. We use such language with good reason. One of the great metaphors running through Scripture is that of the husband God pursuing the unfaithful, undeserving bride, humanity. It’s a metaphor worth preserving in our use of language. God is not exclusively male, however. We are reminded that what is best in both men and women—particularly, our ability to love—exists fully and perfectly in God. Yes, God is capable of providing everything our imperfect fathers cannot, but God equally can mother us more perfectly than any woman. There are numerous examples of God as mother in the Old Testament, too. That motherly instinct seems to have been shining through in Jesus as he looked toward Jerusalem, a place in which he clearly delighted. He was not a city boy, but he loved the city and all it represented. It was, after all, the center of God’s promises to the Jewish people, its temple more of a home to Jesus than anyplace he had lived. And yet, he knew the city and its residents would bring about his death. Unable to protect the recalcitrant city in the great plan that was unfolding, he instead used that coming death to spread his arms out on the cross and shelter us all, making eternal life possible. If we choose to stay under Christ’s protection, death cannot truly swoop in and take us—eternal life is ours. We all have our wants. It is, of course, that time of year when all sorts of wants are emphasized. As I was working on this sermon, my e-mail inbox alert flashed repeatedly with ads from various companies that have fulfilled my wants before. It’s the Christmas shopping season, they were asking me. What do you want? I have had wants all my life, many of them fulfilled during Christmases past. My mind goes to G.I. Joe and his helicopter. It was big enough for Joe to actually sit in the cockpit, the rotor spinning for as long as my thumb could keep pushing the heavy black button on the frame. There also was the glittery purple bicycle with the banana seat (I was a child of the ’70s), which I eventually outgrew just as the tires were becoming bald. Later, there was the sled and my first rifle, both of which I still possess. As the retailers furiously fan the flames of our wanting the next few weeks, they also will tell us how we need to be fulfilling the wants of others. Is everyone covered? Is our shopping done? Did we buy enough? Don’t worry, there will be plenty of places open late on Christmas Eve. The Christmas shopping season is like a big, glittery sleigh wreck. We cannot avert our eyes despite it being so spiritually draining. I offer you a solution today. Stop thinking of this time as the Christmas shopping season. Call it what the church calls it: Advent. The season will still be about wants, but the Advent attitude reshapes our wants, perhaps making us a little more holy in the process. Not holier-than-thou, mind you; just a little more aligned with God’s will. Advent recognizes the two great wants in history. First was the desire for a savior, for Messiah, the one who could reconnect us to God. Once we get past Genesis 3, the story of sin’s disastrous effects, the Old Testament basically is about people struggling to recover what they had lost, intimacy with God, and God trying to call them back through the darkness. Our Isaiah text today is just one of many Old Testament passages expressing that deep desire to again know God. Thank God Messiah came! He came as a baby, so strange, and he died for our sins, again, so strange. But there’s the resurrection—resurrection! It is the root of the second great want in history. Jesus Christ is coming back. All things will be set right, and our greatest desire is that his return happen soon. In this Advent season, keep that great truth before you, followers of Christ. We are a people living in a state of anticipation. That state of mind will make the commercialism of December tolerable and the approach of the coming holy Christmas season a joy. It’s okay to revel in the joy of the season. It’s okay to give gifts. Just let that anticipation of Christ’s return shape everything you do. Remember, we give gifts as a reminder of the great gift we were given the first Christmas, Christ among us, the gift resulting in eternal life. My wife gave it to me. 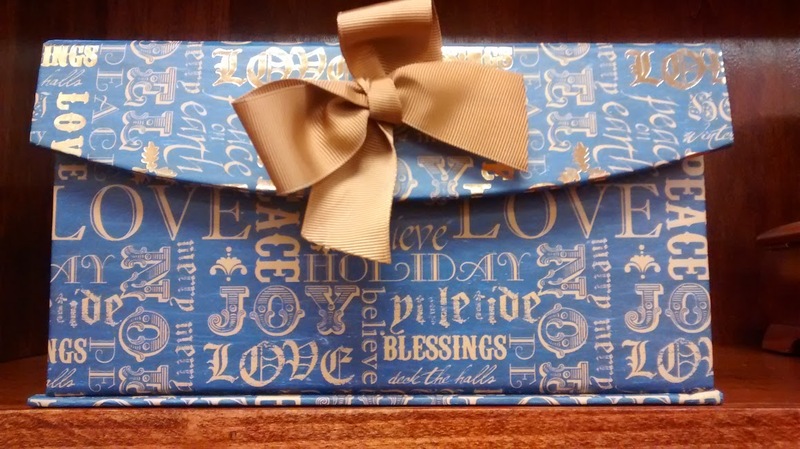 Inside this pretty little box were all sorts of tiny notes in her handwriting—funny quotes, Bible verses, love notes. It cost her very little in terms of paper and ink. And yet she gave me so much. When I pull out a note, good days become glorious, or dark days are suddenly much brighter. It was a boxful of love and joy. As you go about your shopping for Christmas, remember Christ is the source of all love and joy. Perhaps you’ll discover a way to give someone a taste of what is to come when Christ stands before us in full. “Get behind me, Satan,” Jesus said to Peter. Ouch. How quickly the mighty can fall. To go back to a lesson we first learn in kindergarten, actions speak louder than words. In defense of Peter, he was navigating uncharted theological waters. He was right to declare Jesus the Messiah, the Christ. His problem was that he had not fully grasped the role Christ plays in the universe. Like most Jews, Peter had reduced the expected Messiah to a warrior king, a recycled David who would form his army, take back Israel for the Jews and establish a physical, righteous kingdom for all the world to emulate. It was a big, exciting concept, but it wasn’t big enough to capture the role Jesus came to play. Matthew tells us that Jesus began speaking plainly, telling his disciples how his ministry would actually play out. Ultimately, he told them, he would suffer at the hands of the Jewish religious leaders of the day, be killed, and then be raised from the dead. Peter responded like a tactful public relations manager. He didn’t confront the boss in front of others; he pulled Jesus aside to provide a little counsel. When he told Jesus, “God forbid it, Lord! This must never happen to you,” Peter was focusing on the torture and death part of Jesus’ prediction—none of that seemed to fit the clear path to victory he was envisioning. How could the masses get behind a warrior king who planned to lose? And in a way, Peter was right, at least from a human perspective. The masses abandoned Jesus once the beatings began. In Matthew, only a handful of women followers are recorded as witnessing the crucifixion. God’s plan was not dependent on human understanding or support, however. The last part of Jesus’ prediction, that he would rise again on the third day, came true, marking the great turning point in history. The inevitability of death ended on the first Easter Sunday. Christ’s resurrection made clear that death’s power was gone, replaced by eternal life through Jesus Christ. It is the core truth of Christianity sustaining us today. We should also remember that Jesus didn’t call Peter “Satan” just to rebuke or insult the disciple. The phrase “Get behind me, Satan!” is there to remind us of an earlier story found in Matthew 4. There, the devil tempted Jesus to abandon God’s master plan and define his ministry in terms of worldly success. After upbraiding Peter, Jesus went on to tell his disciples about the cost of following the Messiah, knowing they would face similar difficult choices themselves as leaders of the church. It’s a lesson for all of us. We could have our own bitter cup of death to drink; certainly, many of our brothers and sisters in Christ are facing such choices now. We all have our own crosses to take up. By that, Jesus meant we have to take up his cause and give up whatever causes or desires we may have that conflict. In choosing Christ, there could be some sort of human glory, I suppose, but glory, riches, fame or other worldly goodies should not be counted on or even sought. There are preachers becoming rich by telling their followers that faith automatically begets worldly success. They are wrong, and they need to listen to Jesus’ teachings more closely. The only glory we are promised—the reward for drinking from that cup, taking up that cross—is, of course, eternal life. The concept sounds vague and distant to us now, but on our deathbeds and beyond, nothing in this life will compare. When I was in journalism school, the instructors taught that good reporting on a story required answering the five W’s: who, what, when, where and why. I figured the five W’s could help us expand on today’s Bible passage, Matthew 16:13-20. In doing so, I pray we’ll better understand the full importance of what happened on this particular day in Jesus’ ministry. The story revolves around the “who” questions Jesus asked, but I’m going to begin with the where. The backdrop for the story is enlightening. We’re told Jesus and his disciples went to the district of Caesarea Philippi. In other words, they left the very Jewish world where they had been teaching and ministering to escape for awhile into the Gentile world, where it was far less likely they would be recognized. 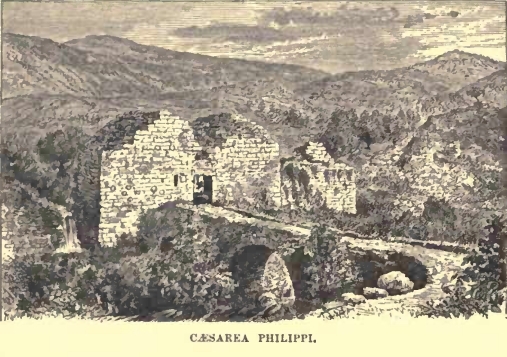 Caesarea Philippi was named such in part because it was the home of a temple dedicated to the deification of the Roman emperor, the caesar, who expected his subjects to see him as lord over all things. As Jesus had his conversation with his disciples, it’s likely they saw this gleaming white tribute to human hubris. The district also was the home of multiple pagan shrines, serving these Jews as clear symbols of humanity’s desire to follow something other than the One True God. It was in that setting that Jesus began to ask his “who” questions. First, “Who do people say that the Son of Man is?” The disciples’ answers were quite flattering, the highest and holiest descriptions Jews would apply to a mere human being. They reported the people placed Jesus among the great prophets, the ones seen in one way or another as declarers of the Messiah, the one who would save Israel from oppression. In followup, Jesus asked, “But who do you say that I am?” No pause is indicated, but I’ve never been able to read this passage without imagining one. Peter’s response seems too bold to have tumbled out one beat after the question. “You are the Messiah, the Son of the living God,” Peter said. That’s a lot of “who” to attribute to anyone. Peter was saying Jesus was fully aligned with God, more important and more powerful than any caesar or anything else that had ever or would ever presume to take on the role of God. The Greek word translated incorrectly as “Hell” is Hades, and that word shouldn’t be confused with our modern understanding of Hell as a place of torment for nonbelievers. Both the Jews and the Greeks of Jesus’ day thought of the afterlife as having one common abode, a sort of waiting place until the time of the general resurrection and judgment. Jesus was saying he was going to do something so incredible that he would break the power of death. That incredible something, of course, was his crucifixion. Death took Jesus, briefly, but Death had to release God’s Holy One on the third day, unable to contain what had given the very universe life. As for the when—well, in some ways, the answer is eternal. Jesus always was and always will be. The universal church of believers always will be, even after we reach the time when death and evil are fully destroyed before our eyes and nothing remains but blissful worship and celebration. Next week, we’ll focus on what it means to live out that creed moment by moment.